The return of the San Pedro Bell from the US Military Academy at West Point to Bauang, La Union in the Philippines is an excellent example of international cooperation and, for Arnoff Global Logistics, a good expression of how we create and execute a plan to move a large, fragile and irreplaceable object some 8,000 miles to arrive safely and in perfect condition. The San Pedro Bell has a dramatic history. The 400-year old bell was captured by American troops during the Philippine-American War in approximately 1901 because it was thought likely to melted down by insurgent troops to make guns and ammunition. The bell weighs more than 800lbs and for many years was hidden away at West Point. It was rediscovered in 1959 and was installed at West Point’s Most Holy Trinity Catholic Chapel. 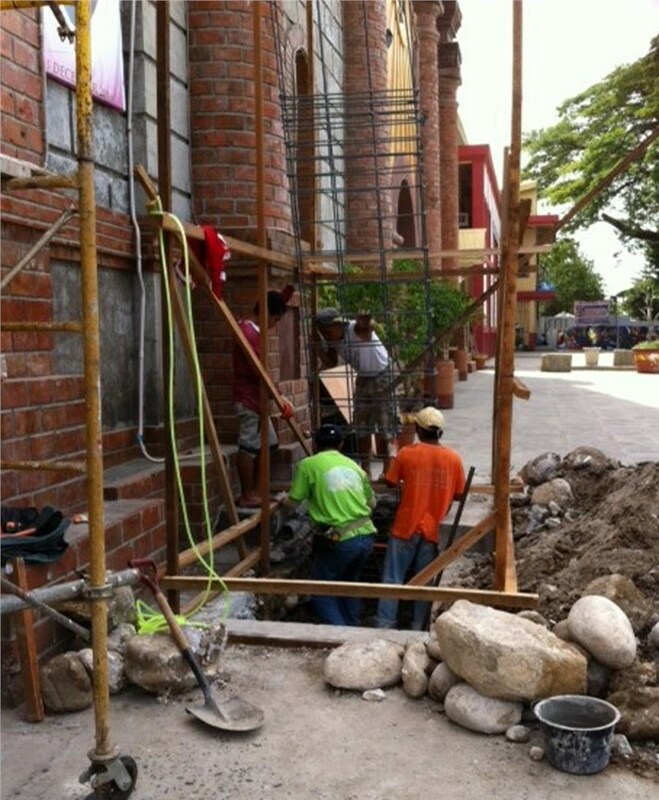 Meanwhile, back in the Philippines, the parishioners of the Church of St. Peter and St. Paul were eager to have the bell returned to its rightful home. Through the efforts of American war veterans, including retired Rear Admiral Dan McKinnon, retired US Army Captain Dennis Wright, and members of the Catholic Church and government officials in both the United States and the Philippines, it was agreed to send the San Pedro Bell back to the Philippines. 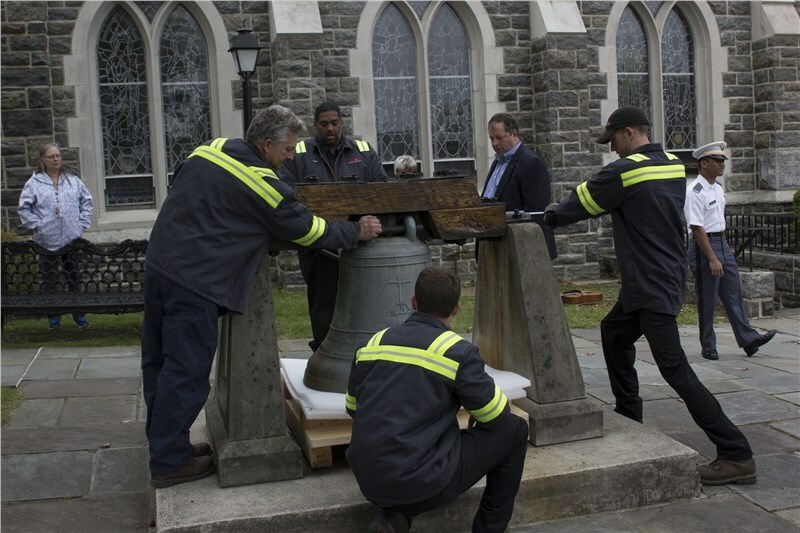 Arnoff Global Logistics won the contract to take the bell from its position in the West Point Chapel, move it carefully with rigging apparatus and prepare it for its long journey home. After a number of visits to the site, Arnoff’s team of expert riggers, artifact handlers and craters devised a way to carefully lift the bell from its location and place it in a custom built wooden shipping crate. Because of the bell’s age, and the materials it was made from – lumber and cast iron – it was extremely fragile and any wrong move could have wound up in disaster. Once on site, Arnoff worked methodically to unbolt the bell and remove it from its position outside the chapel. Using a special combination of an all-terrain forklift and rigging slings, the bell was driven over to a crating area nearby where it was set directly into the crate that Arnoff had fabricated. Once set down, the bell was blocked and secured in place within the crate for safe shipping and the crate was sealed. The crate was then marked with the required IPSM15 stamp, signifying that all the packing materials Arnoff utilized in the manufacture of the crate were certified for international shipping, and it was ready to be shipped. The San Pedro Bell was shipped to the Philippines and on May 23, 2016 the historic San Pedro bell was welcomed back home with nothing short of a fiesta-like celebration in the municipality of Bauang. For Rear Admiral Dan McKinnon the story has a very appropriate ending. ”I love the idea that this bell goes home near Memorial Day… It feels wonderful to see West Point understand that church bells should be in their home churches." Arnoff Moving once again "Job well done" From the top down, A class act!